Category Archives: Digital Divide – Majority World/Gender/etc. One of the sessions I attended was the Online Identity workshop run by Frances Bell, Josie Fraser, James Clay & Helen Keegan. As usual from that crowd it was interactive, thought provoking & they’d set up an accompanying Wiki. This was really a start into looking at what data’s out there about each of us – whether it’s things over which we (think we) have control, or that over which we have no control. The issue of uniqueness was also raised – do those of us that have (more or less) unique names need to exercise greater or lesser control than those who haven’t. Guess, in part, it depends what those you share a name with do online! Unfortunately, time ran a bit short, so we didn’t really get to hear what the other groups had done, nor, for that matter, have a go with Blip.tv (later, later). Also, not really time to look at the sort of data folks had found out about each other – though at least one person pointed out it wasn’t their information that had been located. Ages ago, I signed the pledge to write a blog post for Ada Lovelace Day – about a woman in technology that I admire. I then wondered who on earth I’d write about; there are quite a few I could think of off hand, but trying to think of someone who I felt had really made a difference to many – wasn’t so easy. About two days after I’d signed the pledge, the January issue of the BCS magazine arrived – a special on Women in computing. One they featured was Mary Lou Jepsen. And my mind was made up! 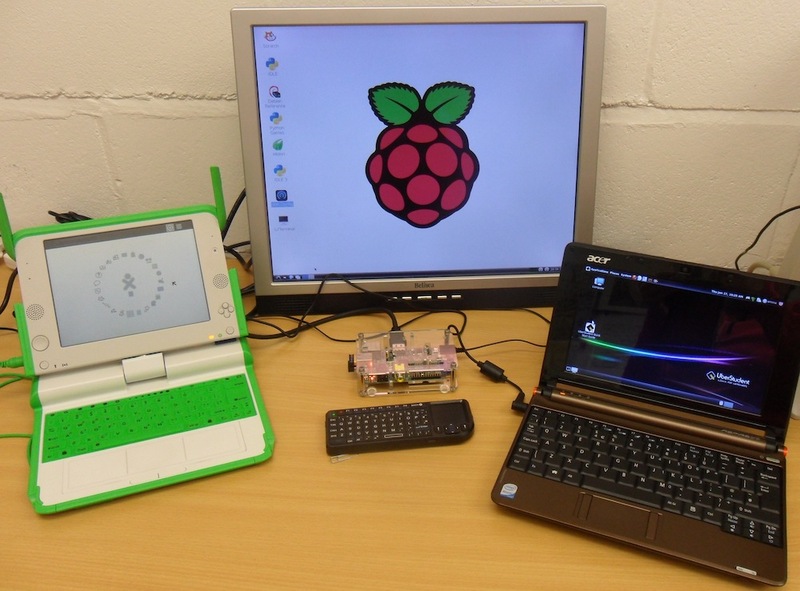 As those of you who’ve read this for some time will know, I’m very impressed with the OLPC – it’s not just the hardware (and certainly not the keyboard – thought I’d give up on rubber ones when I gave up on the Speccy!) – nor is it just the software – it’s the combination of both, and more importantly the concept that I find fascinating. I started to do a bit of research – Jepsen’s the same age as me (also a good reason for writing about her!) – and it’s a lot! Time magazine have listed her as 49 in their list of 101 influential people. (She’s 10th in the sub-list “scientists & thinkers”). She was an LCD screen designer and had done a range of innovative work (HDTV, large scale holographic displays, minature displays etc., etc., etc.,) – so when Negroponte came up with the idea of the so called “$100 laptop” – with low cost and low energy use being prioritised, she became the chief architect of the project. Her particular innovations were the screen, with its minimal energy requirements & readability in sunlight. The mesh network (again, something she contributed to) – while minimising the number of computers that need to be online (and sharing the data around the class/ village) has also allowed the software teams to really look at software that enables collaboration – and encourages children to work together. Having worked in Papua New Guinea (which, I understand now has some OLPCs) I’ve seen some of the problems of schooling where there’s no electricity, limited resources etc., and feel that the OLPC offers a wealth of information, potential, opportunity – you name it, it offers it – so thank you Mary Lou! Wired: The net book effect (The impact Jepsen had on netbooks in general). I’ve written several times about the OLPC (aka $100 laptop) – and have one. There is now a plan in India to create a $10 laptop – which they intend to launch at India’s National Mission on Education through Information and Communication Technologies The BBC’s report did note that they might have meant 5,000 rupees ($100), rather than the original 500 rupees ($10), but even that significantly undercuts the OLPC, which has never got near its original target of $100. India already has the Simputer, though I’ve not heard much about that for quite a long time. That could be interesting … will be keen to hear how people get on. An earlier post also covered the start of the Pacific project – which, from a personal point of view, interests me. I’m working on the OLPC now. I’ve beenable to get it on line at home, though not at work. it’s got a range of inbuilt activities, the most exciting probably being the acoustic measure, which lets you measure the distance between 2 OLPCs. Shame I’ve not got another to test it with! I’m rapidly coming to the conclusion that 2 fingered typing is easier than using them all. That said, for small children (the intended group afterall), they won’t have the same stretching problems they have on a regular keyboard. I’m currently writing this in my kitchen, using the monochrome display which is very clear – despite the fact it’s very bright outside. I normally have to turn the display to max to see it in here. The display is pretty awesome – 1200 *900 pixels for a 7.5″ screen. I thought my tablet was good at 1400 for a 12.1″ screen. The main problem I’ve encountered (other than the speed and the mouse problems that are documented elsewhere) is the fact that it’s a US keyboard, so I can’t find everything. I have just noticed the £ on the H key. The tilda still alludes me. There are 2 things that look like it, but they aren’t. I’ll not post photos – there are enough around; that said, I was expecting the outside to be smooth white, not bumpy. Community aspects aside, what’s interesting to me is that children can adapt. Many UK computer users have moved from BBC-B / Acorn Archimedes in school, perhaps a Sinclair or Vic 20 at home, have used Windows 3.1 – and are now using XP or Vista. We’ve managed the change quite easily. Are they really thinking that Windows won’t change between now and the time that a 7 year old is ready to go to work? Or, perhaps, they’re suggesting that while Western Kids can cope with those changes, kids in the majority world can’t. In the UK, more and more schools are moving to Linux based systems. It’s cheaper. That may well take off even more with the Asus EEE, which is similarly priced to the OLPC. I can see that officials in some countries might think that Windows is the way that they ought to be going, but I’m sure that’s as much lack of knowledge about the alternatives, (most likely due to M/S’s dominance of the market place), than a particular reason for wanting to have Windows. It’s worth noting that this article was first posted on November 26th, before the “Give one Get one” project started shipping; so few people had had access to them. (Still waiting for mine..). Talking about youth as digital natives implies that there is a world which these young people all share and a body of knowledge they have all mastered, rather than seeing the online world as unfamiliar and uncertain for all of us. Yet, I worry that the metaphor may be having the opposite effect now — implying that young people are better off without us and thus justifying decisions not to adjust educational practices to create a space where young and old might be able to learn from each other. … and starts to wonder about “digital multi-culturalism”. The (current set) of comments are worth reading too; supporting Jenkins discussion of the use of the terms, while recognising that they make a good starting point. For me, I guess if I am a digital immigrant; having started with a ZX81 and gone via several other systems, to be now using a range of Web2.0 tools (though not yet got Vista on my PC) – well, I must have been on the digital “first fleet” !